Hluhluwe is an unassuming little town in the North of KwaZulu Natal. It lies roughly 280 kilometres from Durban and is a mere stone's throw from the famous Hluhluwe-iMfolozi National Park. A stay in Hluhluwe will not be complete without visiting the reserve. The town of Hluhluwe lies in the heart of Zululand on the banks of the Hluhluwe River. Like the reserve, is situated in an area with a hilly topography. It lies between the iSimangaliso Wetlands Park and the Hluhluwe iMfolozi Reserve making it a very popular destination for both holiday makers and locals. Apart from the reserves however, Hluhluwe's claim to fame is its pineapple industry. The region is said to produce up to 95% of South Africa's pineapples. In addition, cattle, timber and sugarcane are also prominent industries. For obvious reasons, one of the main things to do in Hluhluwe is visit the Nature Reserve. The Hluhluwe-iMfolozi Park is said to be the oldest game reserve in South Africa, having been established in 1895. It is a big five reserve offering tourists and locals alike the chance to spot some of Africa's most famous species. The reserve is also brimming with birdlife and a variety of game. As one might imagine, a visit to Hluhluwe is largely geared towards those who are on safari. 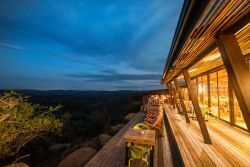 In the area, you will find a wide variety of safari-styled game lodges with on-site restaurants, balconies or verandas overlooking the bush. For visitors looking for guided tours, early morning and evening game drives can be organised with your establishment. In general, the topography and flora of the area will make any stay in Hluhluwe feel like you've definitely escaped the stresses of everyday life! 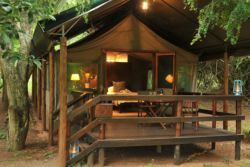 For a once in a life time, relaxing safari experience, book a night or weekend's stay at the various Game Lodges or Self Catering Chalets. A quick look at our website will give you the information you need to make your choice. You will find reviews and you will also be able to compare prices and find wonderfully affordable accommodation in Hluhluwe. Are you planning the perfect getaway but have not yet found your ideal Hluhluwe accommodation? By using our easy website, you can find great accommodation of all types, whether it is a cosy bed and breakfast or a comfortable lodge. We have thousands of easy to find listings for self-catering facilities, holiday homes, guest houses and hotels as well as backpackers, chalets, caravan facilities, villas and apartments, giving you a wide variety of options when it comes to your accommodation in Hluhluwe. To help you find the right place to stay, we have a number of tools that you can use, including a map. This will help you to pin point exactly where you will be staying and it will show you the accommodation facilities that are closest to where you will be. Regardless of the reason for your visit to Hluhluwe, we can guarantee that you will find the type of accommodation you are looking for. But reviews for Hluhluwe accommodation is not the only information you will find. Want to know if your Hluhluwe accommodation is pet-friendly or allows smoking? All of that information is included on the listings page. You will also be able to find which activities are on offer and the sort of amenities included with each room. All of this information will help you to make an informed decision before you make any payments to, giving you more peace of mind about your choice. 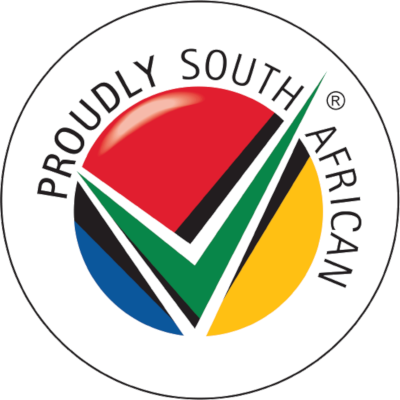 We include all of the contact details of the self-catering accommodation, holiday homes, guest houses and hotels as well as backpackers, chalets, caravan facilities, villas and apartments in Hluhluwe which are featured on this website, so you also have the option of getting directly in touch with the place. 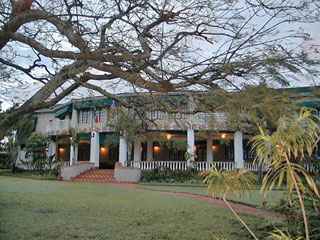 Regardless of where you are staying, we feature Hluhluwe accommodation in that area of the province. You have options of Hluhluwe guest houses, lodges and bed and breakfasts, among others, ranging from your more affordable, lower prices to your more luxurious options. So, you are not visiting for a holiday but rather for business and all you need is a place to stay for a night or two? The bed and breakfast options, as well as the lodges, are generally preferred by business people and you will find all types, from your more luxurious lodges to your simple, self-catering bed and breakfast. Each will give you a safe roof over your head while you are in the province. Hluhluwe accommodation is not only affordable but well situated. If you are doing business in this area, this is a great accommodation choice. Spending more than a few days in the province? Perhaps you are indulging in a tour of the region and you are looking for a few places to stay? Browsing through our listed self-catering accommodation, holiday homes, guest houses and hotels as well as backpackers, chalets, caravan facilities, villas and apartments in Hluhluwe will give you all of the information you need to make your selection. And once you have found the ideal place to stay, you can either request a quote or make your booking directly on this website. Sleeping-OUT.co.za is designed to make finding and booking accommodation in Hluhluwe easier than your traditional methods of sourcing a place to stay! 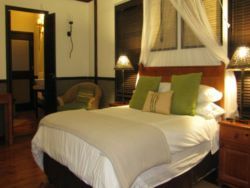 We include some great accommodation special deals in and around Hluhluwe. Delighted! This was an end-of-visit trip for my family from Canada, great way to celebrate! 25 reviews of Hluhluwe Accommodation. Very noise town, but people very happy and have a sense of humour. All smiles and helpful, wherever you go. Impressed main road was quite clean. Excellent game reserve - saw 4 of the Big 5 first day. We love Hluhluwe, especially Hluhluwe/Imfolozi game reserve, one of the best places for to get away to..
We had a great day in the Hluhluwe Game Reserve which was awesome.